One Sunday, our friends Benson and Marsha invited us to eat crawfish in, of all places, Missouri City. For this, I am eternally grateful. Crawfish Heaven lives up to its name, my friends. 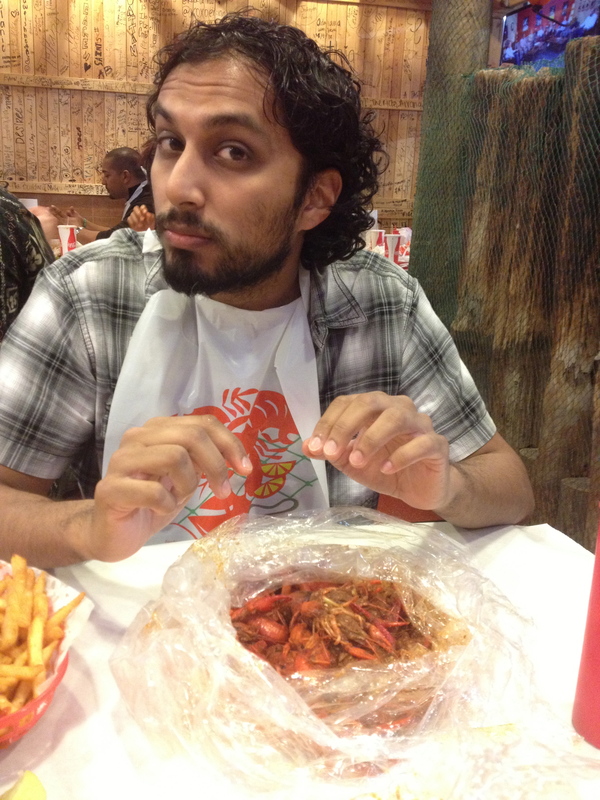 Sajan and I each had one pound of crawfish with a side of fries. 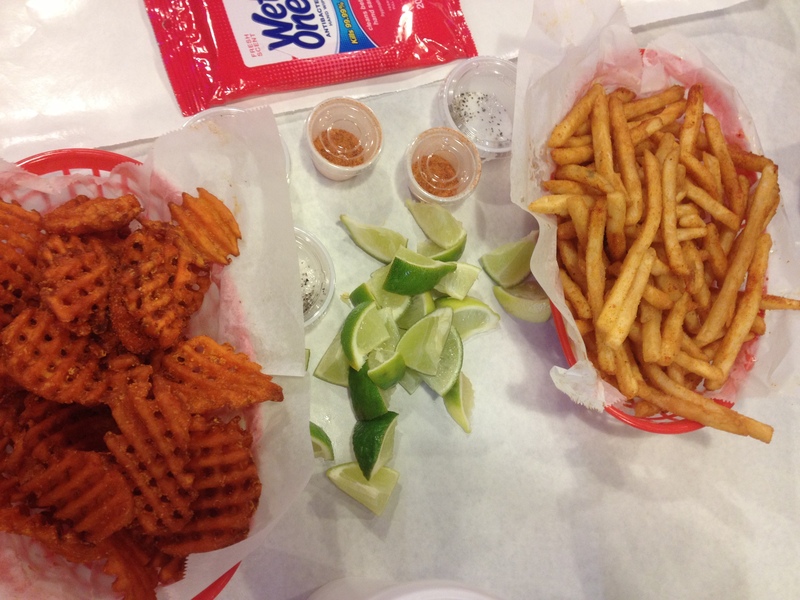 The sweet potato waffle fries and seasoned french fries are equally good. This place is so good, all night we kept running into people we knew! It was so good, it was worth wearing a lobster bib and looking ridiculous. 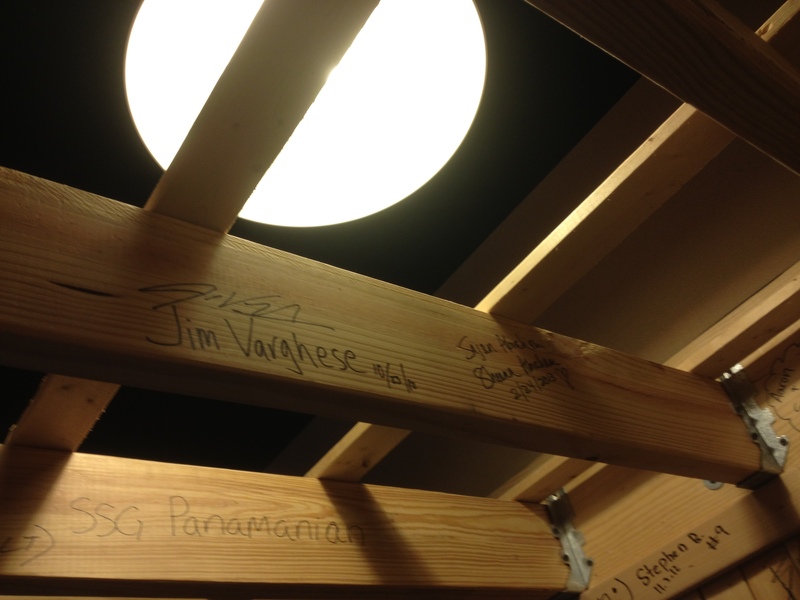 Before we left, we immortalized our names on the building. 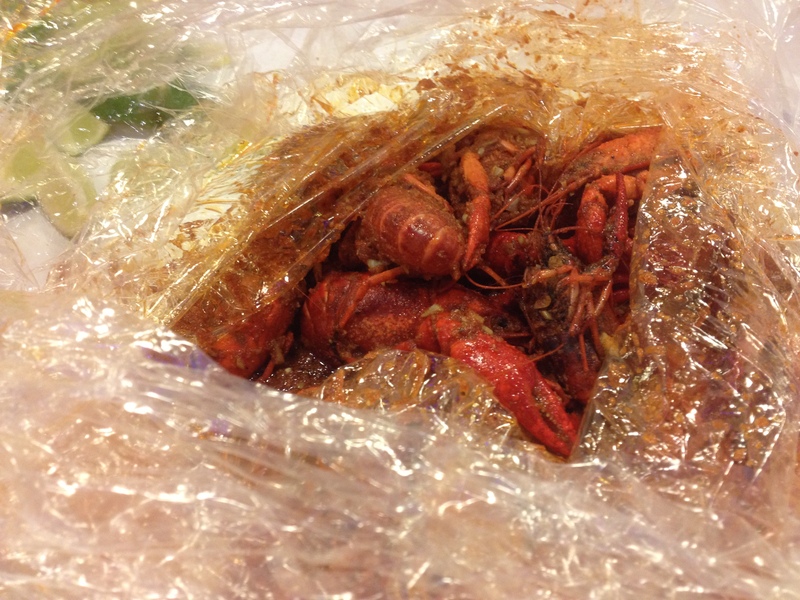 It all took me back to my first taste of delightful crawfish. 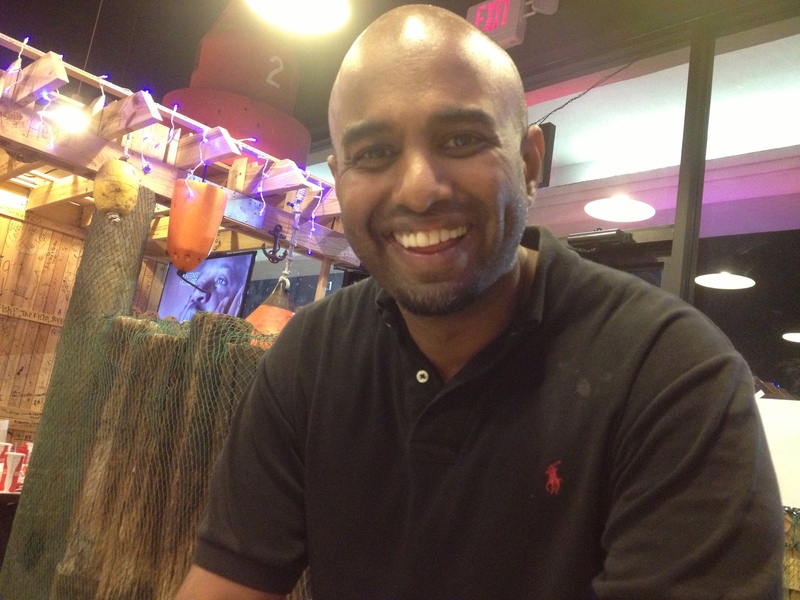 This entry was posted in Brilliant Ideas, Get Your Eat On, houston and tagged crawfish. Bookmark the permalink.